Editor’s note: One of my good friends from college is a teacher in Chicago. One particular student of hers has begun the college search, and in her attempts to convince him to attend Morehouse College or at least an HBCU, she reached out to me and three of my best friends—all of us Morehouse College graduates from the Class of 2001 who met in a prefreshman STEM summer program in June 1997—to see if we could talk to him about our experiences at Morehouse and do a little bit of convincing. The young man wisely took the opportunity to email us and asked about Morehouse and what impact it had on making us the men that we are today. We all responded to him, but my friend Adrian Wilson wrote a mic-drop response that was so impactful I feel it needs to be shared and sent to every prospective Morehouse man for the rest of days. Last week, Damon wrote a post about hating Howard Homecoming because of how much Howard grads treat their experience like the best thing that ever happened. Well, Morehouse, Spelman, NC A&T, Hampton, FAMU, etc. grads … we’re all like that. Folks often wonder why we HBCU grads love our institutions so much. I think Adrian’s letter about Morehouse explains just that. Good afternoon, T*****d. I, for one, will say that I am very glad that Ms. Ingham put you in touch with us. She is one of my close friends, and I admire and respect her passion for being an educator and helping to guide students such as yourself. I also have to say that I have a great deal of respect for you as well, just from this email. I doubt that I had enough courage or foresight to send this type of message to an adult or a mentor when I was your age. I will start off by saying that I put Manu, Frank and Dwayne (Editor’s note: Dwayne is Panama) back on this email because they are very essential to my particular experience at Morehouse College. These three guys are my best friends, and I met all of them on my first day at Morehouse (well, technically, Frank didn’t graduate from high school until a few days after I got to Morehouse, but the story sounds like fate if I say we all met on the same day). Before I get into my Morehouse experience, I will give you a little background on myself. I am the oldest of four kids raised in Baton Rouge, La. My parents both attended college, with my father going to Purdue University and my mother going to Southern University. So I knew the importance of education very early in my life. My grandfather and grandmother went to college, so I can’t say that I am a first-generation college student for my family or anything like that. Even when I was in elementary school, my cousins, who were about 10 years or so older than me, were all coming to Baton Rouge to go to Southern University, another HBCU. So I was surrounded by a lot of college influences. My cousin Kerry came and stayed with my family for a while, sleeping in the top bunk bed while he went to college. My cousin Deric was friends with Bobby Phills (who played in the NBA for the Charlotte Hornets but was killed in a car accident) and used to bring all of his friends over to our house to play basketball. My cousin Keith went to Xavier University in New Orleans, where he was one of the top college students in the country and was on the cover of USA Today during his senior year of undergrad. So I grew up looking up to all of my cousins, and I never had a single day where I thought college wasn’t for me. But as far as what I wanted to do, I was probably all over the board. I wanted to be an astronaut when I was little because I loved space and imagining what was beyond the sky. I loved comic books as well as drawing and thought I might be a comic-book artist for a while. I had a deep interest in how things worked and functioned, so I thought engineering might be an option. At the end of the day, I came to Morehouse expecting to major in mechanical engineering. The school that I actually wanted to go to was Georgia Tech because they had a highly ranked engineering program, and I thought that Atlanta would be a great place to live. But Georgia Tech was the only college that I applied to that did not accept me. So, in trying to scheme the system, I decided to go to Morehouse, where I could enter the dual-degree program in conjunction with Georgia Tech, major in one thing at Morehouse and still get a degree in engineering from Georgia Tech like I wanted to. I have always heard this saying: If you want to make God laugh, tell him your plans. Though I am not really religious, the point of that saying is not lost on me. Sometimes we look at the future and think we have everything mapped out. Or we look at the future and get scared that nothing is certain. But the best part of college is that at no other point in your life do you really have four years to try anything that you want to do … and start over again if it doesn’t work out. I thought that engineering was something that was definitive for me … until I had an internship my first summer of college. And after that summer, I went back to the drawing board. But that is the beauty of college. You are there to figure out what path you want to take, and then to figure out what path you want to take after that. So moving back to Morehouse specifically, I met Ms. Ingham, Manu, Frank and Dwayne while I was at Morehouse in a prefreshman summer program. We all started Morehouse just a couple of weeks after we graduated from high school (with Frank starting a few DAYS after he graduated). I came to Morehouse knowing no one. I was nervous as I could possibly be. There had been no time since preschool that I went to a school and I didn’t know at least one person there. But we were all in the exact same boat, so I guess my worries were really about nothing. During that summer, we took classes ALL DAY long. I think we started with physics in the morning. I had Introduction to Engineering in the afternoon and calculus after that. Then, later in the evening, we had two-hour tutoring sessions. College started in a very serious way for me! But the thing that I picked up on very early was the type of people that I was surrounded by. At my high school, I was the smart black guy. I was in the National Honor Society my senior year, and I was the only black guy who was a member. Here I was at Morehouse surrounded by nothing but smart black guys. Manu was the valedictorian of his high school class. Dwayne and Frank were both honor students. I would just sit in class with all of these black guys, and I have to be honest: I had never been in a setting like that. Some of the smartest people that I have ever met were in that program that summer with me. If I look at where they are today, we have Manu (a Ph.D. biomedical engineering professor who works on HIV research around the world), Frank (a Ph.D. psychometrics graduate who, like Ms. Ingham, also gave back to the community by becoming an educator) and Dwayne (a professional with a master’s degree in public policy who has worked for ******* for over a decade and has written his own book, had his own TV pilot, been on various talk shows and debated with many people that you could only dream about meeting). We have lawyers, doctors, engineers, dentists, teachers, entrepreneurs … all who came out of that class of about 30 students that met during their first summer in college. That’s just the people who came to that program. If I could run down the list of accomplishments of people who graduated in the same year as me, you would wonder how these people aren’t running the world. Though it’s crazy to say, not getting into Georgia Tech was one of the best things that happened to me. I think that I really would have been lost in the shuffle. Almost 15 years after I graduated from Morehouse, the friends that I met on my first day on campus are some of my best friends in life. And they pushed me to be where I am today. I have actually been roommates with all of them. I remember during my sophomore year in school, I was taking an electricity and magnetism class with Manu, and when he was studying, I was studying. My junior year, I was roommates with Frank, and when he was studying abstract algebra or advanced calculus, I was studying. When Dwayne and I took econometrics or urban economics, we learned together. Morehouse was the environment where I was surrounded by other people who wanted to succeed just like me. I related to everyone around me. I used to sit in my professor Dr. Handy’s office and talk about music because I used to deejay, so I collected records. He loved to talk about vinyl and what music was like when he was young. I had a young professor, Dr. Capers, who taught me English, and while he could joke with us about everything under the sun, he didn’t hesitate to mark up my paper about Greek mythology because he thought that my arguments could be stronger. … but you also have people like Manu, Frank and Dwayne, who are guys that are doing big things, though you may not necessarily see them on TV or read about them online. 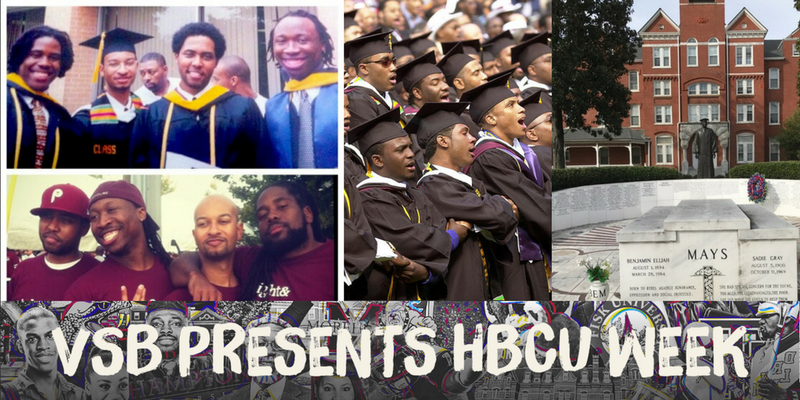 You have brothers like Paul Judge, who graduated from Morehouse in computer science in three years and earned a Ph.D. in computer science from Georgia Tech. He has 11 different patents in cybersecurity (probably more at this point), and he founded a company called CipherTrust that he sold to Microsoft for over $200 million … Then, he started another company doing the same thing. You have brothers like R. Erich Caufield, who graduated from Morehouse, worked for then-Mayor Cory Booker of Newark, N.J., was a White House fellow and is now running for State Senate in Louisiana. And they both went to high school with me. There are plenty of black guys who graduated from high school with me. But there were about 10 of us, scattered across a few years, who chose to go Morehouse. And those are some of the most successful black men that I know from where I am from. See, Morehouse not only has a legacy of people who were involved with advancing the opportunities of black people as well as people who were directly influential in the civil rights movement—it has people right now, in 2015, who are leading the way, not just for black America but America in general. Those are the people who you will be surrounded with when you go to Morehouse. I will tell you this story. When I graduated from high school, as I told you, I was the smart black guy. I had full-tuition scholarships to go to a number of schools, and I got additional scholarship money from companies like Texaco and Dow Chemicals. Texaco gave me a scholarship and an engineering internship. After I graduated from high school, Texaco flew me and my parents up to White Plains, N.Y., to accept the scholarship along with other students from across the country who got the same award. While we were at the awards banquet, there was a black man who was by himself sitting at the table with us. Most of the other adults were parents who were attending with their kids who were being awarded. After talking casually for a few minutes, he introduced himself as Ed Gadsden: one of the vice presidents at Texaco. I immediately snapped to reality: Coming from Baton Rouge, I can’t say that I ever knew any Black person who held such a high position in a global company like Texaco. I felt like he was the head of Apple or Facebook. And he looked at me and asked, “What college did you decide to go to?” I told him Morehouse. He said, “Excellent choice. My son goes there.” And that impressed me even more. I am sure that he could have paid for his son to go to any Ivy League school. But he chose to send his son to Morehouse. That always stuck with me. Morehouse is a school that surrounds you with other movers, shakers and dreamers like yourself. I tell people all the time that the reason I am doing well in life is that I was surrounded by other people who wanted more for themselves. That is what you get at Morehouse. You will find that if I ask you to run a mile, you are always going to run it faster if someone like you is running beside you. You will always run it slower when you are running alone. Historically black colleges and universities are an essential part of black America’s progression throughout American society. They have given us a place to grow and nurture our young thinkers and doers. Morehouse in particular has excelled at this because they constantly remind you of those who came before you—those whose legacy you are carrying on, and they constantly remind you of those around you—those who will push you as well as you push them toward greatness. I just wanted to include this picture to show you all of the guys on this email, from then to now. I would definitely like to hear more about what you want to do, and I can also give you any advice you need based on what worked and didn’t work for me while I was in school. At the end of the day, the biggest factor in your college success is going to be you. Depending on what you want for yourself and how badly you want it, you can succeed anywhere. But your path and experience is going to be different everywhere you go. And Morehouse showed me, as it can show you, that there are other men of color out there who have the drive that you do, the hustle that you do and the desire that you do—and they will be standing right beside you the entire time you are there and beyond. And that really makes all of the difference.